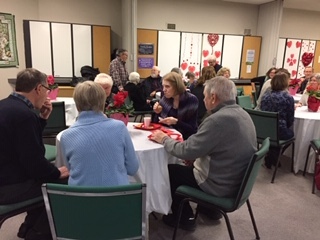 On Friday January 25th, CCSC volunteers filled up tables and chairs in the Willow Grove Room of Three Willows Church for our annual winter Volunteer Appreciation Party. We ate cake and snacks and drank coffee and juice together. 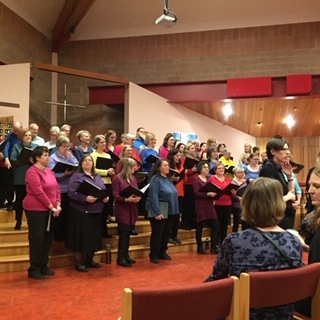 The Guelph Community Singers sang old and not so old songs in the sanctuary of the church. That was nice. And then we all went home. No big deal. Except that it kind of is a big deal, that party. Because we are heavily reliant on volunteer power at CCSC. This newsletter that you’re reading? 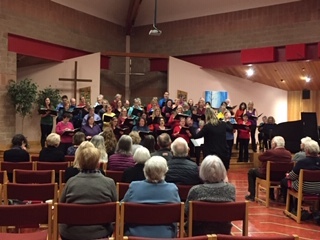 It was put together by a committee of volunteers. We are open everyday to those who need us because of volunteers. . 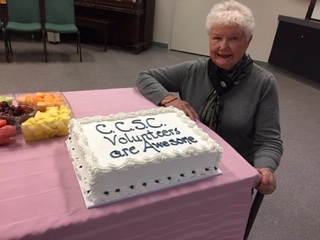 Without volunteers, CCSC would not exist in the beautiful way it does. 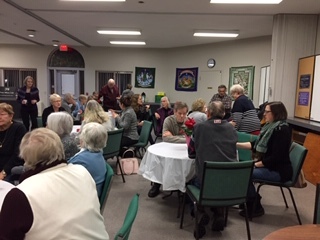 So, it’s nice to have a party to recognize all the work that volunteers do all the time. There is something that happens when you volunteer at CCSC. No one really talks about it. Not out in the open, anyway. But, as the Program & Volunteer Coordinator, I see it. I see how volunteers joke around with each other, I hear how they ask about each other’s lives. I witness when they hug one another when there are tough times and I see when they share pictures of new grandchildren. 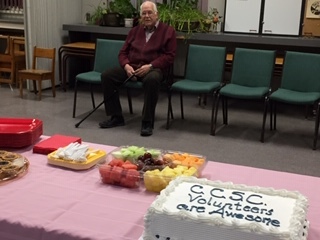 I often tell new volunteers that once people start volunteering at CCSC, they don’t leave. People stick around. And I know part of that is because the work they do, week-to-week, feels meaningful. I know our volunteers feel they are contributing to our community and they know they are creating a safe and welcoming place for our guests. But, I also know that our volunteers stick around because the community that they are building is for them, too. Our volunteers come every week to do this work because they know it is their place. Because it is where they are connected to one another. So, that party, in January, was just an acknowledgement. That we are all part of the CCSC community. And sometimes it’s nice to celebrate that, together.